When you see puppies for sale, it is extremely tempting to bring them home. However, it is crucial that you understand how to buy a puppy and what to consider. Puppies, like babies, are lifelong commitments and demand a substantial amount of time and energy from their owners. Buying puppies in the UK is not a complicated process. There are numerous reputable breeders, pet rescues, and kennel clubs that sell puppies. Alternatively, animal shelters are the perfect place to buy a dog. Many puppies and older dogs in pet shelters desperately need to find homes. Try not to buy a dog from a puppy mill or a pet store. The majority of the puppies in pet stores originate from unregulated puppy mills. 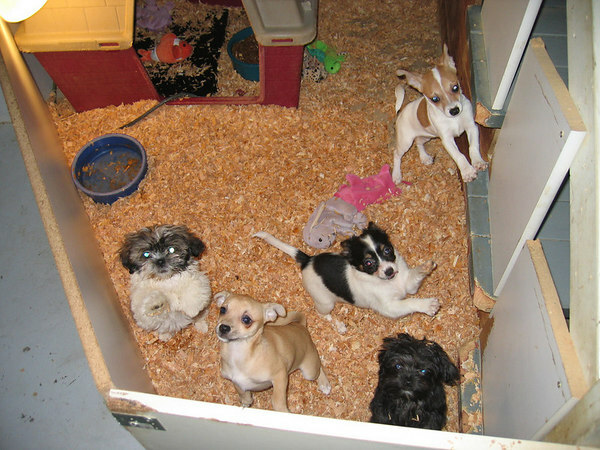 Puppy mills have a reputation for keeping puppies and their parents in confined areas where they dwell in deplorable surroundings, often resulting in health issues and bad temperaments. It is also advisable not to buy puppies online. Frequently, puppies for sale online are scams. Sometimes the seller asks you to send them money, after which your pet will never get delivered. Alternatively, they may deliver a different pup, rather than the one you spotted in the ad. It is imperative that you understand what to check when buying a puppy. You should inquire about the puppyrsquo;s age and health. It is also advisable to make inquiries concerning the parents and their temperaments, their ages, and how frequently they breed the mother. Asking these questions enables you to determine whether your puppy is coming from a respectable breeder or a puppy mill type atmosphere. Be sure that you ask to observe the pup in its present surroundings. If someone wants to bring a puppy to you, it raises concern about the puppyrsquo;s current living conditions and potential health problems. Any trustworthy dog breeder will encourage you to visit their facilities. Before buying a puppy, you should make a list. This checklist should consider if a puppy will fit into your lifestyle and the breeds that interest you. If you have children you should contemplate buying a Labrador puppy, or checking out pug puppies because of their pleasant non-aggressive nature. You should make certain you have the time, appropriate living conditions, and room to exercise for your pet. Once you have resolved to buy a puppy, you will want to make a checklist of things that the new puppy needs. You should include food, a collar, a leash, bowls, and toys. Having toys to chew on is beneficial because they keep the puppy entertained during teething so that they will not gnaw on your furniture. You should also consider investing in a travel crate for transporting your pet. Ensure your puppy has a comfortable place to sleep. If your puppy has difficulty sleeping, try putting an alarm clock in its bed. The ticking of the alarm clock reminds your pet of its mothers heart rhythm and help it to relax. When caring for puppies, there are several things you need to consider in order to ensure the safety of your pet. Just like you would baby proof if you brought an infant into your household, you also ought to puppy proof in order to keep your new pet safe. Keep anything that you do not want to the puppy to get into well out of reach. Puppies require a lot of love and affection to thrive. Handle your puppy gently and pet it often so that it feels loved and adored. You will want to find a reputable veterinarian for your new puppy to ensure that it remains healthy and happy. Shanice Ling has been a dog groomer for just over 5 years. City and Guilds qualified she has opened up her first dog groomers in Sidcup called BeautiFur.